Girly Girl Giveaways: Sun Damage Free Skin with these Healthy Edibles! Sun Damage Free Skin with these Healthy Edibles! Spring is here and that clouds are starting to part. Here are 6 foods that can help save your skin from sun damage, according to Dr. Calapai the proclaimed "Stem Cell Guru". Follow him on Twitter for other health news. Just as an unhealthy diet can have a negative effect on your skin and health, a healthy diet high in antioxidant-rich foods can help protect your body, even from the sun. Since antioxidants help reduce inflammation and free radicals, loading your diet with them will go a long way against sunburn and skin damage as a result of UV rays. 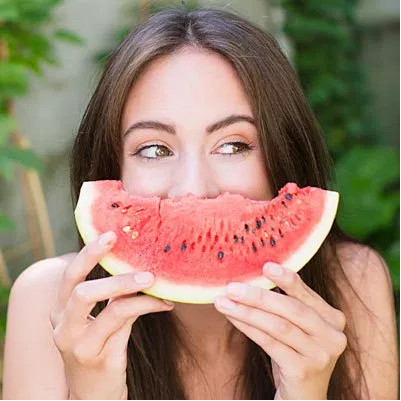 We connected with Dr. Christopher Calapai, D.O., a New York City Osteopathic Physician board certified in family and anti-aging medicine for his list of foods that help prevent sun damage.